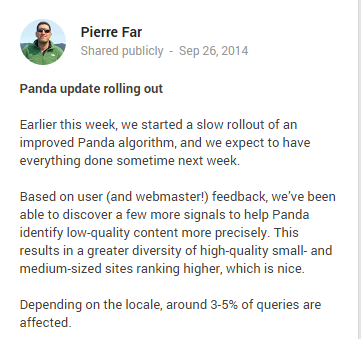 The update, dubbed Panda 4.1 by leading SEO blog Search Engine Land, is the 28th confirmed update of the Panda algorithm since it was first rolled out on February 24th back in 2011. The aim of Panda 4.1, like many of Google’s algorithms, is to penalise sites containing poor, low quality content from ranking well in Google search. Google wants to provide users with high quality, useful and relevant content which answer their everyday problems and queries. To do this, they need to filter out the thousands of spammy, low quality webpages available on the internet. If your site was penalised by Google in the last Panda update, and you have since made the right changes to your website, you may see an increase in traffic. To our knowledge, the Panda algorithms are not positive, i.e. 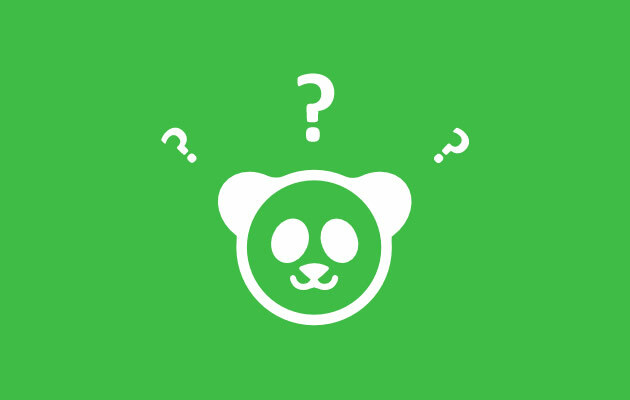 sites that perform well under the Panda filter do not get given a higher ranking. Sites that do see an increase in ranking after the updates do so because their competitors get penalised. Smaller and medium sized business are supposed to benefit from the update. As you can see, the sites who have been affected by Panda 4.1 have experienced a pretty dramatic change in traffic. You can see the full list of the winners and losers in the US from the update compiled by searchmetrics. However, Google has stated that, depending on location, only 3-5% of search queries will be affected. So although the changes themselves are large, they will not be affecting a large number of websites. Google is as secretive as ever about the exact details of their latest algorithm, but there’s definitely one rule we can take away from Panda 4.1: focus on creating high quality, unique and relevant content on your site. If you need a hand creating outstanding content that ranks well, why not get in touch today?